Is running a skill, or something that we are born to do? According to the recent book, The Running Revolution by Nicholas Romanov, running is a skill that needs to be practiced. Romanov claims that running technique needs to be mastered through rigorous practice. To me, it seems unlikely that mother nature would’ve forgot to hardwire humans with the ability to run properly. Every living creature on the planet learns to move properly without instruction; so why would we need to be taught to run? Maximize the Minimum: train less, reduce injuries, get faster? In an attempt rid myself of chronic running injuries, I started running less mileage, focusing on the quality of my runs rather than weekly mileage. To my surprise, I started getting faster, closing in on some of my personal best times. 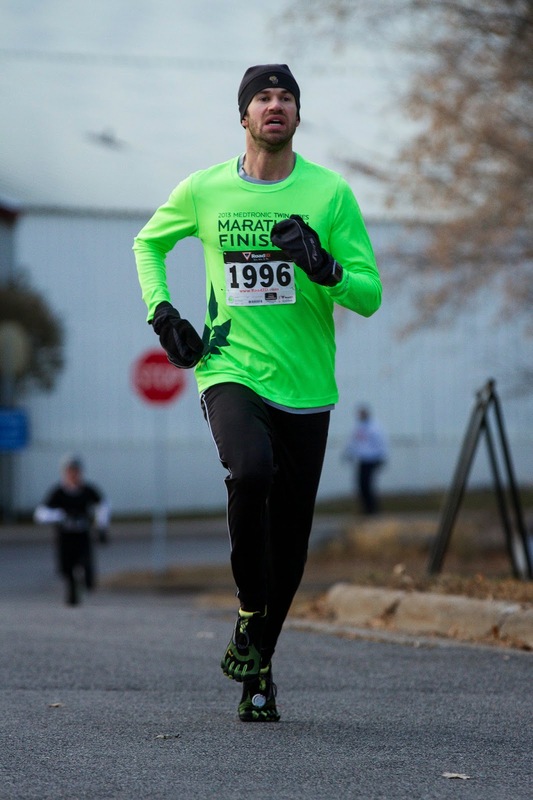 After just 6 months of training this way, I set personal bests at 10 miles 57:29 and 5k 16:39. Like most people, I have a lot of different interest, hobbies and time with family that take up my time and energy. I am always looking for smarter ways to train and get the most bang for my buck. To find out how little mileage I could get away with and still maintain a basic level of fitness, I ran just 10 miles per week for 7 weeks. I kept up my usual 1-2 quality sessions per week, but simply cut out most of my slower junk mileage. At the end of 7 weeks I ran a local 5k race and managed to win the race in a time of 16:46; which was just 9 seconds slower than my best time for 5k. This experiment shows me that by keeping the intensity high, and omitting most of my easy runs I achieved 99.1% of my best time at 5k. Why would anyone want to drastically cut their mileage? I’ve also suffered injuries in the past. By taking a minimal approach to my training, I’ve been able to maintain most of my fitness and even exceed some of my previous times while training only a few minutes per week. While I don’t think this is going to give you the absolute best results, it can be a great way to train if you are short on time and energy, or have suffered from nagging injuries. Don’t let an arbitrary number of miles per week dictate your training. Listen to your body and know that you can achieve great results with just a fraction of the mileage. By keeping the intensity high and giving your body plenty of time to recover, you might even be able to see improvements in your race times. In future posts I’ll share with you how I’ve used a minimalist training approach to achieve personal bests in every distance from a 5k of 16:37 to running a Marathon in 2:55. The book, VOQ Training for Cross Country & Track, turns traditional wisdom about year-round running on its head. The author, Dan Kaplan eschews the training folklore that many distance running coaches embrace and focuses on the results he’s been getting year after year while coaching his runners. Many coaches say to focus only on long slow running in the off-season, Kaplan says do intervals year round. Other coaches save high-intensity intervals for later in the season, in hopes of peaking their runners for a key race. Kaplan favors steady progression towards your goals. Rather than putting all your eggs in one basket and hoping for a magical race at the end of the season, Kaplan argues that by including year-round speedwork, runners can make consistent steps towards achieving their goals. He says runners can also reduce injury by keeping their legs in touch with faster training. Instead of adding speedwork during just one or two parts of the year, runners can keep their bodies strong with regular speed session. I personally don’t like taking breaks from speed training and I found VOQ Training to be a refreshing and well thought read for runners looking to improve performance on a year-round basis. I recently had the chance to email Dan some questions about his book. You can read our conversation below. Q: On the cover, you have an inverted pyramid, what did you want to convey by that? The inverted pyramid represents the Volume-of-Quality approach to my training. (Since publishing VOQ Training, I’ve learned of a few other authors who use variations of pyramid and diamond concepts, but fortunately, all are a bit different in terminology and/or theory.) You start with faster stuff (the downward facing tip) and build a bigger and bigger base (the flat top) for long, sustainable peaks. In one sense, it’s saying that the peak is just as high no matter which direction you build the pyramid, so why not build it in a fashion that provides more reliable tapers up top, rather than falling off the precarious tip? In another sense, it’s saying that how high you build the pyramid is not limited when you keep layering on quality work – the widening “base” can go ever higher. Q: You say running should be instinctive, not to be overthought too much. What do you mean by that? Running is a pretty simple activity … probably the simplest of all sports. Some people get so caught up in the detail, they forget that 99% of the benefit comes from just getting out there and working hard. That may be an overstatement, proper planning is surely more than 1%, but you get the idea. Q: Why is speedwork important during the base building phase? Why not just work on building a base through slow steady miles? Any time you’re working exclusively on one aspect of your fitness, you’re de-training other areas. Many people assume that you simply cannot work on speed and endurance at the same time, so it’s better to take a periodization approach and put off the speed work until after the base work is done. There are two problems with that: 1) it’s not true, in my experience, and 2) it creates a much greater likelihood of injury when you add the faster stuff back in for a de-trained athlete. Q: You say you’ve seen 30-60 sec improvement from one season to the next, is that really possible? Do you have any runners that stand out in your mind for big improvements? Yes, it is possible. Not easy, though. It’s important to point out that 30-60 seconds of annual [5k] improvement is the goal and not everyone hits that level. We use that goal to establish somewhat optimistic training paces over the summer. Even if an athlete doesn’t hit the goal in races, they’re still getting much closer to it than if they hadn’t set the goal that high. There’s also a mental edge to be gained by believing you are going to improve more than your rivals, because you have a plan in place to do so. Q: Why do you think so many runners work so hard during the season only to let their fitness deteriorate when it’s over? A lot of people would probably say it’s due to lazy athletes. I look at it differently, though, being a very athlete-focused coach: It’s lazy coaches! (And in some states, misguided associations that disallow off-season contact.) My athletes have always had stellar off-season work ethics, even those known for being fairly lazy on a day-to-day basis, largely because I never expect an athlete to work harder than I do. As a coach, it’s my duty to ease the barriers to off-season motivation. Lead the way, and most athletes will follow. Q: Why emphasize quality over quantity? The way I look at it is, emphasizing quantity almost always overlooks quality – it’s way too easy to get caught up in chasing the mileage – but flipping the perspective allows both to be built simultaneously. Any good program has a good balance of the two. Q: You say running is a year-round sport, won’t runners get worn out by training hard all year? Not if they’re smart about it! The key is balance. Wild swings in volume or intensity, such as with typical base work and sharpening approaches, are tougher on the body than keeping a happy medium. Q: You write about learning from a great sprint coach, Charlie Francis, what can distance runners learn from sprinters? Sprinting requires a more aggressive mindset. I think sprinters are more willing to take risks and experiment with their training. So, there are positive and negative examples to learn from them, as not all experiments turn out well. Most people who remember Charlie Francis remember him for the drug scandals, but he was a brilliant coach, drugs aside. The sprints are very stressful on the body, and Francis really delves into how to take measures to prevent injury. Q: How do you prevent overtraining? Will runners get overtrained by doing intervals year-round? If they’re hammering them, yes. But if it’s a controlled effort, it falls somewhat into the tempo category and isn’t all that hard on the body. I think the key to preventing over-training is monitoring fatigue levels. I plan the training as seven days a week for most runners, but with optional rest days built in every few weeks. If someone is dragging a bit, don’t be afraid to back off the intensity of a workout or race. If you wanted to be really precise about it, you could have the athletes monitor their resting HR and use that to catch the early stages of training fatigue. Q: You say all runners should aim to run 60 min a day. Why? That advice is specific to the 3k-5k range, of course. There’s so much more aerobic fitness to be gained in the 3-4 easy runs per week than there is in the one long run, especially when you get into the season and have races every Saturday. That makes it difficult to get much Sunday mileage in, with another workout coming up on Monday or Tuesday. If you keep the pace comfortable, you’re still building fitness while allowing your body to recover from the previous hard efforts. Longer events can benefit from more than 60 minutes, but up to 10k, that amount probably will suffice. If you are so aerobically fit that 60 minutes sounds easy on a light day, just pick up the pace a bit. Q: If runners do intervals during their base building period, will runners peak too soon? Not in my experience, although it depends entirely on how the training is structured. I’ve seen plenty of athletes peak in the summer from too much intensity. The key to the VOQsystem has controlled intensity. The intensity stays fairly constant – at a level that can be comfortably maintained from the beginning of the program – while the volume of it steadily increases to race-specific levels. By the time the season starts, the athletes are race sharp but not on the razor’s edge of fitness. Q: Is it difficult to motivate runners to do intervals year round? Not at all! Athletes are competitors, and they want to be challenged. Intervals appeal to that nature more so than just mileage. They also take pride in doing more work, and harder work, than their rivals. But, you want to keep things from becoming monotonous, too, and that’s a danger with doing the in-season interval work year-round. That’s why I use a progression of interval, hill, and tempo workouts throughout the summer, and then more pace change oriented stuff during the season. Keep working on different elements, both for overall development and to ward off boredom. Q: Do you sacrifice peaks for even performances by maintaining year round fitness? You would think so, but that hasn’t been my experience at all. Our athletes typically see bigger improvements in the championship races than their competitors that follow a more typical, aggressive peak. I think this is largely because the traditional approach to peaking has such a high likelihood of backfiring, but also because my “even keel” approach widens the window of opportunity for peak performances. You don’t have to hold your breath and hope that you timed everything right. Q: How much rest between intervals is recommended during an interval session? It varies a lot by what the session is meant to accomplish. For 3k-5k, and I would include the 1500m in that for the most part, I generally prefer that the athletes take an active (jog) recovery. For the 800m, I opt more for static (standing/walking), timed recoveries. A static recovery will be shorter than an active recovery, as the athlete will recover quicker. Unless you’re doing max speed work, the duration of the recovery should not exceed that of the interval (or “rep”) itself. So, an athlete running 3:00 per 1000m should not have more than 3:00 of jogging in between. Ideally, that would be whittled down to 60 seconds of jogging as fitness builds, for a 3:1 ratio. Q: Will the interval sessions change throughout the year? Yeah, it’s a necessity if you want to remain event specific with high schoolers, as the XC and Track distances are quite a bit different. I also don’t like overdoing the intensity during the winter, as injuries are a much bigger risk in the cold, so we go with tempo workouts mostly. Q: Will VOQ work for recreational runners who are only looking to race a few times a year or just have one major marathon in mind? Yes, but it takes some tailoring of the workouts to assemble a plan that makes sense for your own goals. You could still use the summer buildup example, but place it in the winter months if you have a big spring racing goal. If the goal is for a half-marathon or marathon, then you’ll need to modify the workouts to better reflect the needs of an event that long. The general training outline will still work as-is, though. Q: Could you give an example week for a half marathoner and tell me how it might change as you get closer to your event? From there, you can add more mileage in the form of doubles or speed up the easy days if you have fairly competitive half-marathon goals. Tempo workouts should be a staple of any distance training program. Being effort-based, rather than time-based, it’s pretty difficult to go wrong. Let your imagination run wild with variations of steady tempo, progression runs, alternating hard/medium segments, long push/short float, short push/long float, fartlek, etc. These are great workout days for building in regular variety to keep things from getting stale. For the interval workouts, I prefer a length that can be attacked comfortably with little or no fade toward the end of each rep. This usually means stuff in the 800m-1200m range. But, you also need to simulate the demands of the race as much as possible, so you would want to have some mile and 2-mile repeats sessions in there. I don’t change the weekly structure or the workouts themselves very much as the bigger races approach. Throughout the season, you should be steadily increasing the difficulty of the workouts by decreasing the recovery and/or increasing how long you’re holding goal pace for. The last week or two before the big race, hold mileage fairly steady and drop the intensity of the workouts. This will freshen the legs and keep your body in the training rhythm it has grown accustomed to. Dramatic changes in mileage or intensity tend to be what cause bad peaks. Q: How important is weekly mileage? It’s very important to put in the mileage weekly, but it’s easy to get caught up in hitting a set number. We typically hover around 50 miles per week, but I look at it more in terms of 7-8 miles per day. That way, when you take a rest day every few weeks, you don’t feel compelled to pick up 7+ miles elsewhere in the week to keep the average up. Chasing the mileage tends to lead to problems. Q: What are you working on now, and how can people stay up to date with you? I’ve been working on a revised edition of VOQ Training, which has grown enough that it will probably end up being a 2ndEdition. I’m also close to finishing the way overdue Supplemental Work for VOQ Training companion book. Information on both will be updated at www.VOQTraining.com when available. I started up VOQ Racing, a local “club team” geared toward building up the local competitive running scene. I’ve worked with a handful of high school and college-bound athletes as part of the project – a coach never fully walks away! It’s still in the early stages, and my focus has wandered a bit between the racing team and coaching the young athletes (it’s a “something for everyone” approach to team building), but you can follow the progress at www.VOQRacing.com.